Sean Gordon went inside Madison Manor on Nov. 14, 2010, and was never seen again. The only clues to his fate were a series of blog posts he left behind, allegedly recounting his final hours inside one of the most haunted houses in the world. But what started as an investigation into the mysterious occurrences inside Madison Manor also revealed shocking truths about Sean's own past. 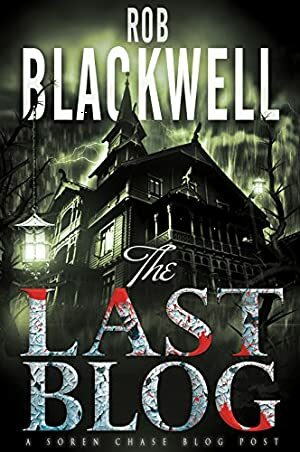 "The Last Blog" is a 10,000-word short story that includes Sean's final blog postings, as well as additional analysis and insight provided by noted supernatural expert Soren Chase. It's the perfect treat for Halloween! We started tracking this book on October 28, 2015. The price of this book has changed 8 times in the past 1,271 days. The current price of this book is $0.99 last checked 35 minutes ago. The lowest price to date was FREE last reached on October 29, 2018. The highest price to date was $0.99 last reached on November 3, 2018. We last verified the price of this book about 35 minutes ago. At that time, the price was $0.99. This price is subject to change. The price displayed on the Amazon.com website at the time of purchase is the price you will pay for this book. Please confirm the price before making any purchases.